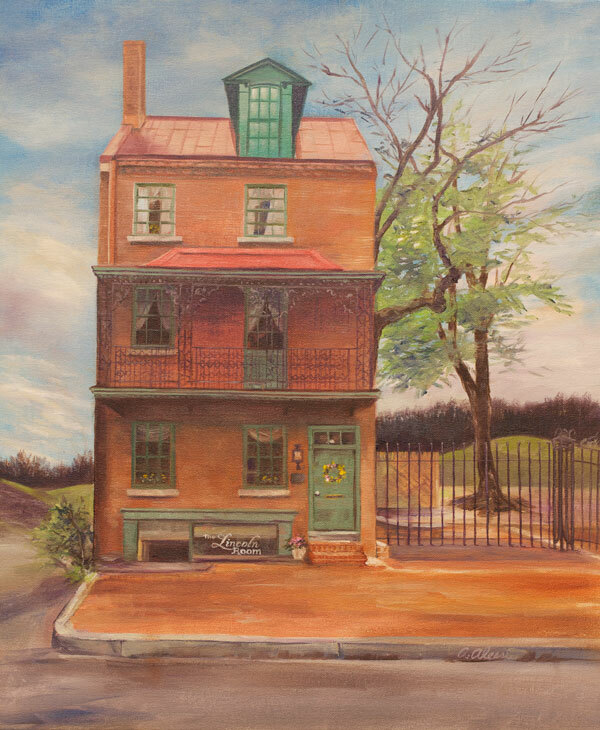 The Abraham Lincoln Building is an oil painting created by Annette Alessi. The building is located in West Chester, PA on 28 West Market Street. It is regarded as the oldest commercial structure in downtown. The Lincoln Room is a tea room and shop and is located in the lower level of the Lincoln building.